If you’ve spent any time browsing our website here at SLimitless, you have probably encountered the term “functional medicine.” For most of us, we associate the word “medicine” with conventional medical doctors, who make diagnoses and treatment recommendations based on their medical specialties. Some of us may not even realize that there are alternative health care options, assuming that conventional medicine is as good as it gets so to speak. We’re here to tell you that this is not the case. Keep reading to learn about functional medicine and how it differs from conventional medicine to promote true health and wellness. Today, you only go to the doctor when there are symptoms present. If you have a bad stomach ache, if you have a skin rash or signs of cancer; generally, if your body is acting differently than it normally does, you schedule an appointment with your doctor. They may take tests, do blood work, and the doctor will try to diagnose a problem. If there is a disease or an illness, your doctor will prescribe medicine or drugs to help treat those symptoms. When 1,000 people all have a bad stomach ache, the doctor may prescribe the entire group the same medicine. With conventional medicine, people are generally treated the same way and a diagnosis is made based on symptoms that are present. Also with conventional medicine, it is based on early detection of disease. As with breast cancer, the earlier a patient is diagnosed with breast cancer the better, because it is likely to be in a lower stage and there will be fewer risks. If there are signs of breast cancer, you go to an oncologist, if you have a broken bone, you go to the orthopedist, if you need to have an MRI done, you see a neurologist; with conventional medicine, you see the specialty doctor related to the symptom. Functional medicine, on the other hand, focuses primarily on prevention. Prevention’s goal is to tackle it before there are any symptoms present. Functional medicine works with your daily life, it focuses on your health. Functional medicine is sort of a 180-degree turn from conventional medicine. Where conventional medicine seeks to heal through diagnoses and prescribing drugs, functional medicine seeks to heal through examining each person’s lifestyle and biochemical factors that looks at what makes one person different from the next. All illnesses and diseases can present themselves differently depending on the person. Functional medicine wants to find the cause of the disease in order for the patient to be able to make changes to their lifestyle, and provide treatments that go beyond prescription drugs. Basically, conventional medicine uses drugs to treat the symptoms, and functional medicine wants to find the cause of the problem and find a suitable treatment. Why choose functional medicine rather than conventional? If you’ve ever had an illness that could not be diagnosed and treated by drugs, you want to choose functional medicine. Functional medicine will look at your headache for more than just a migraine, it will seek to find what is causing your migraine. Factors include genetic makeup, what your lifestyle consists of, is there a lot of stress, do you exercise? What sort of environmental impacts are there? 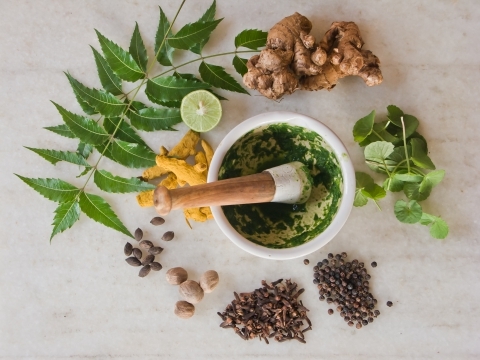 Functional medicine wants to help treat diabetes, heart disease, depression, digestive disorders, autoimmune diseases, skin disorders, and hormonal problems using alternative healing. All of these diseases and illnesses are treatable, and not just by prescription drugs. At SLimitless, we want to help you reach your fullest potential when it comes to your health. With a genetic analysis, you can learn your genetic makeup and then create a personalized diet and lifestyle that can prevent disease. If you have seen your parent’s health wane over time, and wonder if that will happen to you, with our genetic analysis, you can find answers. Even better, we can give you a way to prevent your health from waning. SLimitless wants to show you a way to better health with alternative healing, a personalized (t doesn’t get more personal than a genetic analysis) guide to better health with diet, exercise, and natural medicine that your body needs. Contact SLimitless today to start your journey to better health.